Simon Harris dubbed the alleged leak of the woman's details as 'reprehensible'. 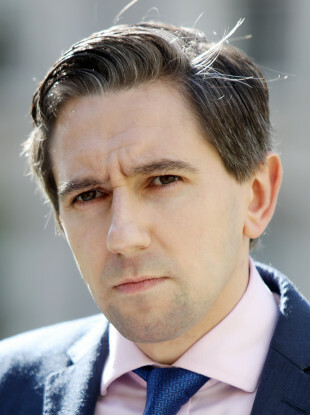 HEALTH MINISTER SIMON HARRIS has said it is “extraordinarily concerning and disturbing” that a patient’s details could have been leaked after she had an abortion at the National Maternity Hospital, Holles Street (NMH), in Dublin this week. A number of investigations are underway into the allegations, which were first reported by TheJournal.ie yesterday. A HSE investigation into the allegations that emerged on social media is now taking place. A message shared on Twitter alleged that the woman who had a medical abortion was later contacted by someone using a phone number linked to an ‘abortion counselling service’ that the HSE has warned against. There are concerns that the patient’s details were shared with the rogue agency. There has been huge clinical leadership to make sure that could happen, there were dates set for the introduction of services, that many said wouldn’t be met and were met thanks to the leadership of the clinical community. The woman at the centre of the case sent a message to a Facebook group to warn other women about what had happened to her. That initial message was screengrabbed and shared extensively on Twitter. It detailed how after her termination, she had an internal scan and was sent home from the hospital. She was told no other scans would be needed. According to the message, when she arrived home that day she received a call from a number unknown to her and was told by a man to re-book in for a scan. The message says that the man who called her had her personal details such as her name and address. The number he called from is linked to an unofficial website which has a similar name to the official HSE ‘My Options’ site. It’s claimed she was told to come in for a scan, and later received a text message telling her to go to a clinic on the northside of the city. The woman, according to the message shared on social media, said she felt something was strange, so she called the Well Woman Clinic and the hospital. They did not know anything about the phone call or the scan. Dublin Well Woman Clinic has also confirmed to TheJournal.ie that a full data breach scan of its IT systems was performed this week. The clinic, which the patient had used prior to being referred to the hospital, said it is confident that no data in relation to any patient was leaked from its operation. Chief executive, Alison Begas, said the matter now lies “in the hands of the HSE”. “We very much welcome the investigation,” she added. The head of communications at the Office of the Data Protection Commission also confirmed to TheJournal.ie that it is “currently making enquiries” about the allegations. “We will be making no further comment at this time,” a spokesperson added. It is understood that no referral has been made to gardaí about a data breach from any hospital, but that officers may be treating the incident as a ‘nuisance call’ that could be investigated. Email “'Grotesque and reprehensible': Harris 'extraordinarily concerned' over alleged leak of patient's details after abortion ”. Feedback on “'Grotesque and reprehensible': Harris 'extraordinarily concerned' over alleged leak of patient's details after abortion ”.